At Fantastic Garage Doors, we can provide repair and replacement solutions for garage door springs in Melbourne. There are numerous signs that indicate your garage door spring might be broken, including an opener that strains to open the door or a tilt door that pulls to one side and jams during operation. Fortunately, our specialists are sufficiently trained and equipped to handle these mechanical problems and restore the functionality of your garage door. Torsion springs are the main contributor to break downs & entrapment. Torsion springs if not installed correctly or not maintained regularly can cause a lot of strain on the motor which will drastically reduce the life of the motor & in the worst case a spring could break resulting in the door being stuck down until fixed. 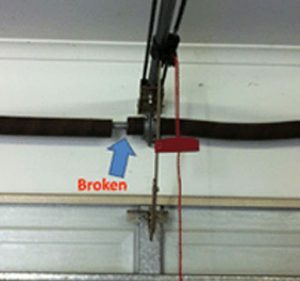 When garage door torsion springs break, you should stop using the door immediately. Although it might continue to function, opening and closing the door will significantly increase the load on the motor. Continued use may cause the motor to burn out, leading to much higher repair and replacement costs. Attempting to operate the door with a broken spring or tampering with the door workings is also extremely dangerous. Our garage door spring repair services involve replacing the springs in sets. A broken spring transfers load and tension to the remaining spring, greatly weakening its steel coil and compromising its ability to function optimally. The surviving spring needs to be replaced or it might also break while trying to keep up with the new spring. Get in touch with us today for details about our garage door spring replacement cost or to find out more about our other services, including garage door opener installation and garage door repairs.